CERT was initiated in 1999 in response to the need for an effective Canada-Europe business dialogue and to advocate for comprehensive bilateral free trade and investment liberalization. The official inauguration took place at a dinner hosted by the Canadian Ambassador to the EU, Jean-Pierre Juneau, on June 16 1999. The dinner included over 30 Canadian and European executives, who were joined by then Canadian Trade Minister Sergio Marchi and European Commission Vice President Sir Leon Brittan. 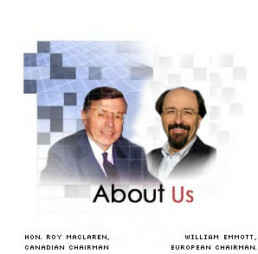 CERT is Co-Chaired by Roy MacLaren, former Canadian Minister of International Trade, and William Emmott, former Editor of The Economist.